A quite seasonly incorrect colour to be using considering it is July but oh well. 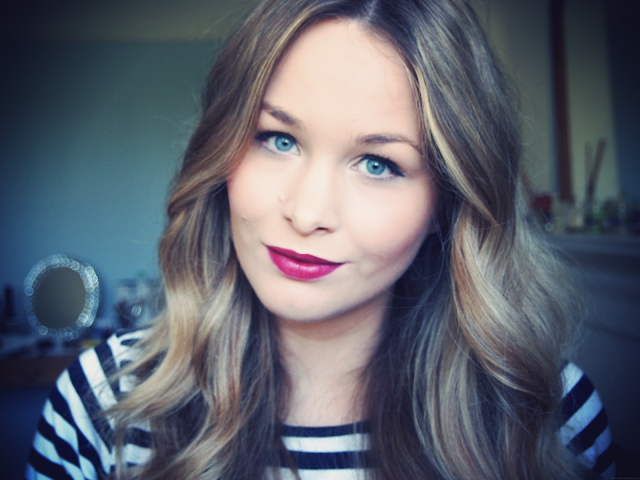 I got this lipstick when they were clearing out the stock cupboards at work so it was a happy little perk of the job. New CID is that brand that puts lights on everything, so at the bottom of this lipstick there is a little button that turns on a surprisingly bright light. The idea is that you can use the light and the mirror on the side of the cap to do your lipstick anywhere...even in the dark ha. The colour is a dark purple, but on my lips it looks a little more on the pink-y side and not quite as dark as the bullet. The consistency is quite glossy, which I'm not used to in a lipstick. I normally prefer matte so it feels a little slide-y when I apply it. This makes it a little tricky if applying it in a rush, but then dark colours always need a little more time I think. I personally really like the colour, unfortunately it doesn't last too long though. But I guess with the mirror and light you can easily re-apply it where ever! All in all, I think £15 is a little steep however the light novelty is pretty fun. Good for a present I'd say. Also just something off subject a little. In the above photo of me I have found natural light! Before I was taking pictures in a dark corner of my room so I could have a blank background but the light was so bad that colours were looking really distorted. Does this natural light photo look ok? If so I'll just stick doing it here, cos really the whole point is to see the make-up and it is a bit useless is the colour is completely different in the photo. An one more thing, I have a new domain name- www.lvinlovewith.com! I am currently in the process of working out how to change things, like bloglovin etc but that is all stuff behind the scenes so no worries for you guys. This colour is lovely! I got a dark Revlon balm stain so Im not keeping to the seasonal rules either but I love it. i think that lipstick is phenomenal on you! 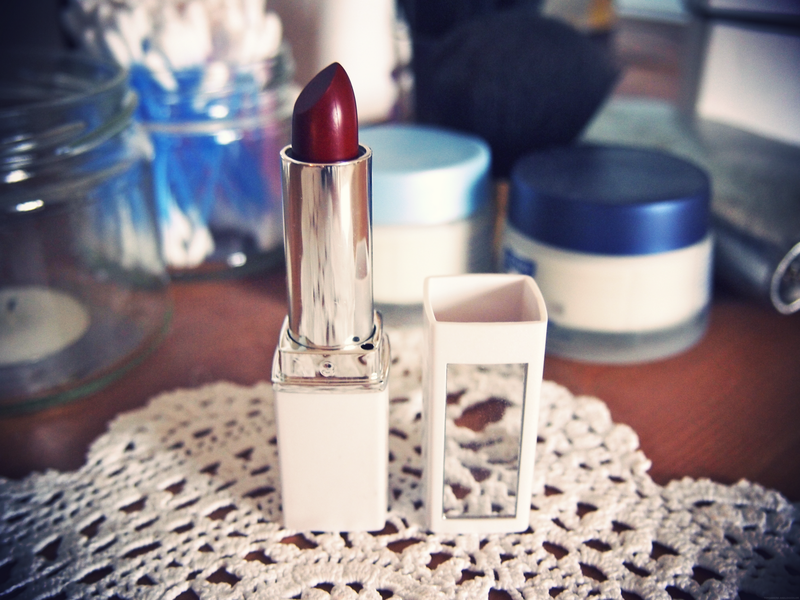 This lipstick looks fabulous on you!